Hormones are not just something a personal trainer in South Jordan should be concerned about. If you want to improve your fitness and lose weight, you should be concerned too. Endocrine glands, which are special groups of cells, are where hormones are made. The major endocrine glands are the pituitary, pineal, thymus, thyroid, adrenal glands and pancreas. In addition to those I already listed, men produce hormones in their testes and women produce them in their ovaries. Hormones pack a punch!! It only takes a teeny tiny amount to cause BIG changes in your cells or for that matter, even in your whole body. That is why not enough or even too much of any certain hormone can be serious, not to mention cause you (and everyone around you) A LOT of grief. Lab tests can measure the hormone levels in your blood, urine or saliva. Hormones are produced using the good fats and cholesterol found in the foods we eat. A lack of these important dietary factors can cause you pretty major hormone problems simply put, because your body doesn’t have the building blocks it needs in order to make them. Toxins containing chemicals that mimic these building blocks or that mimic the hormones themselves are also problematic because the body gets psyched out, if you will, and will attempt to create hormones using the wrong building blocks. Uhmm, that’s NO GOOD! 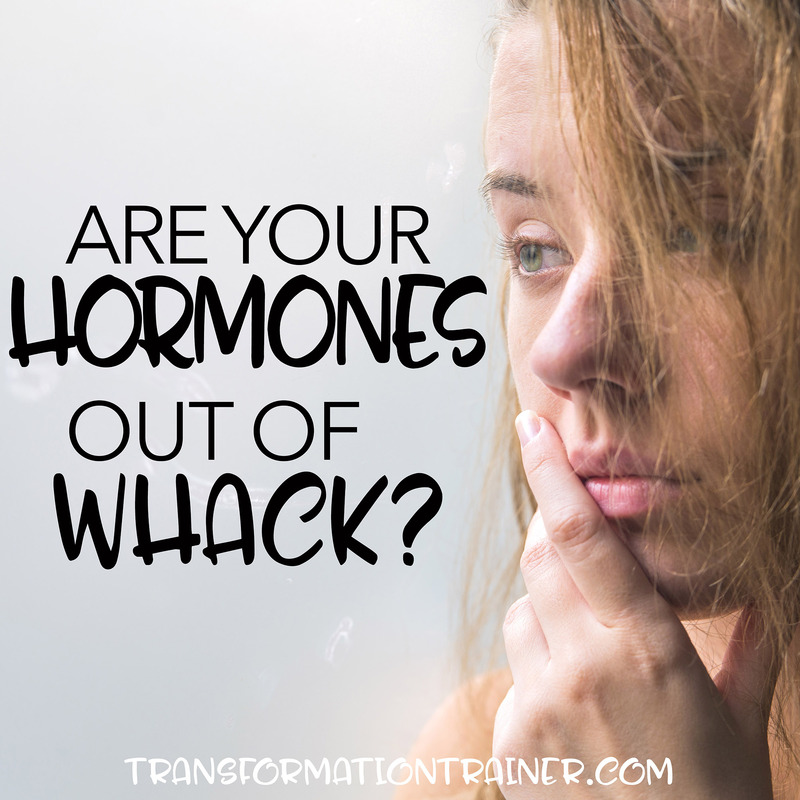 So, what to do if your hormones ARE out of whack? Trust this personal trainer in South Jordan, you came to the right place to find out! 1. Avoid High Omega 6 Polyunsaturated Fats (vegetable, peanut, soybean, canola oils, margarine and shortening). These oils have man made Omega 6’s in them and as such are unstable not to mention they oxidize easily. No bueno. The oxidized fats cause all kinds of problems, namely inflammation and mutations of the cells. These mutations can cause things such as clogged arteries and skin cancer. Nope, I’m not kidding. 2. Avoid caffeine…all of it! No pop, no coffee, no tea. None. Zero. Zilch. Nada. Got it? 3. SLEEP…eight hours a night, no less. Period. 4. Avoid Toxins. Plastics, pesticides and household chemicals all cause big problems for those with a hormone imbalance. Make sure to wash ALL of your fruits and veggies before eating them as well as avoiding plastic water bottles. Likewise, wear a facial mask when using household cleaners. 5. Exercise, but do it lightly. Did you ever think you’d hear a personal trainer in South Jordan say that? Extended intense exercise actually makes the problem worse in the beginning so take it easy while your hormones are readjusting. Remember that the right amount of REST is just as important as the right amount of work. 7. Use Coconut Oil. This stuff is amazing!! It provides the necessary building blocks for hormone production, can assist weight loss, reduce inflammation, and even has antimicrobial and antibacterial properties. That’s a win-win in my book! 8. Supplement wisely. What does that mean? It means talk to a RD (registered dietitian) or your doctor to decide which supplements are right for you (usually based off of a blood or saliva test). Having the right amount of each mineral in your system can make a world of difference! So there ya have it. The low down on hormones. Are they important… yeah just a little bit. Oh wait, A LOT!! !